If you are a regular blog reader, you know that I love the Delightful Daisy bundle! So I was super excited to see that it is now back in stock. Woohoo! This is one of the cards we created this month at my monthly card class. I love it so much that I thought I'd share a video on how to create it with all of you. 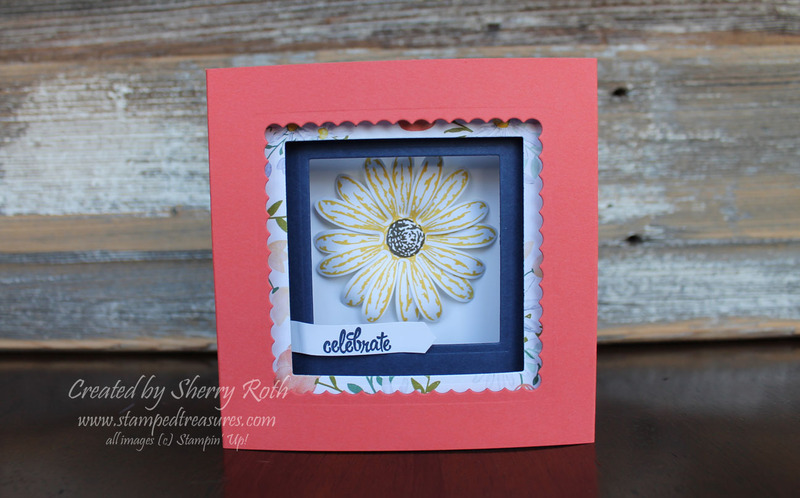 The design was inspired by a card created by CraftyPerson. 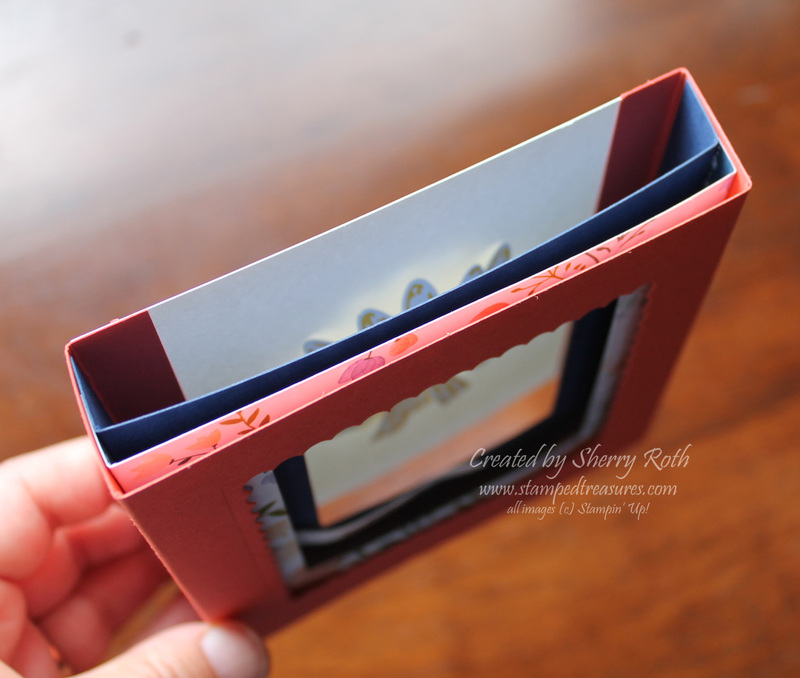 The card has so much dimension yet folds flat to fit in a regular medium sized envelope. So fun! It looks like it would be difficult to assemble but it really isn't. I've included a supply list below if you have any questions about the supplies used to create it. Here's the video on how to create the Shadow Box or Telescoping Card. 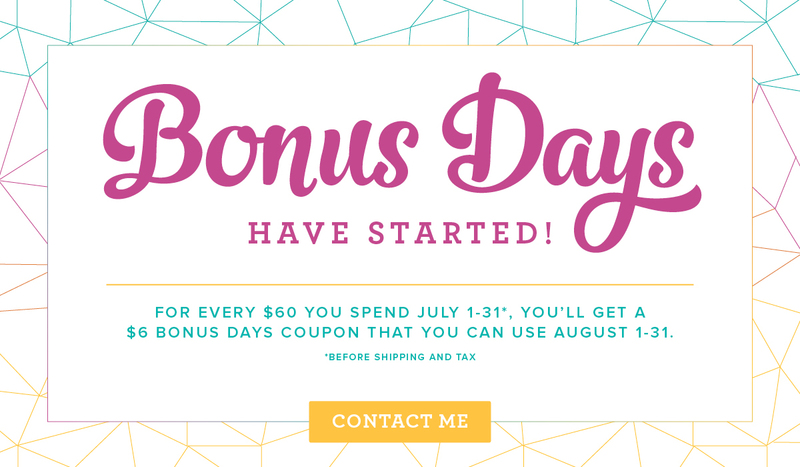 Before I say goodbye for today I just wanted to remind you that today is the last day to earn coupons for Bonus Days and for the added value on the starter kit!